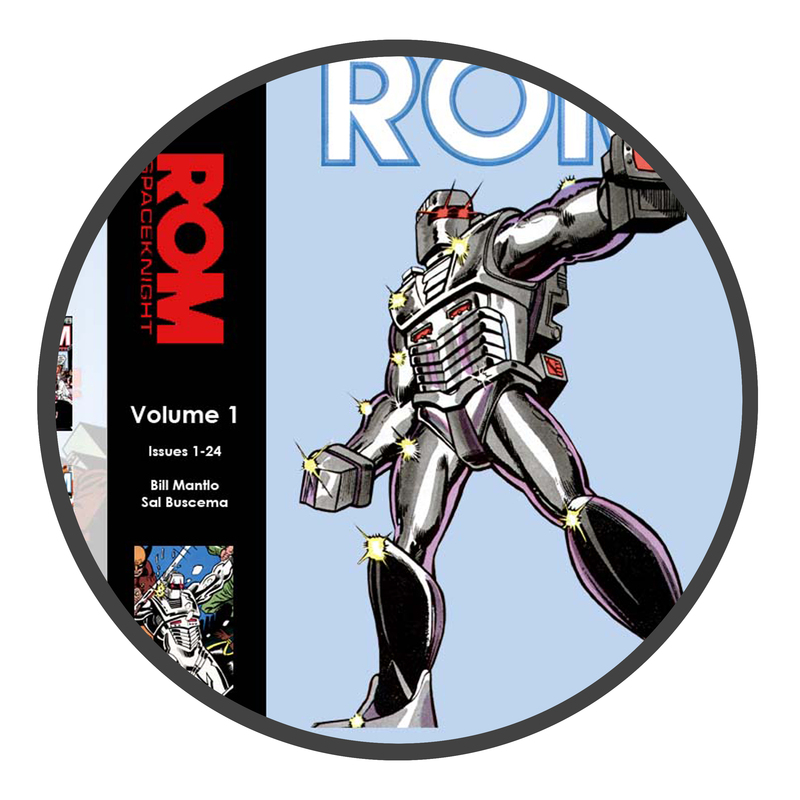 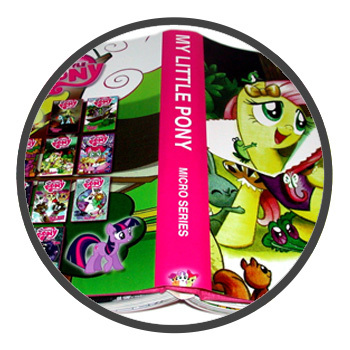 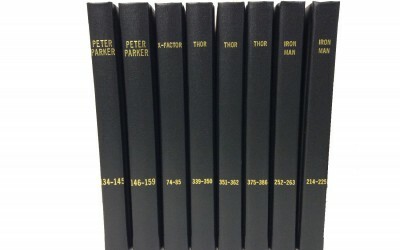 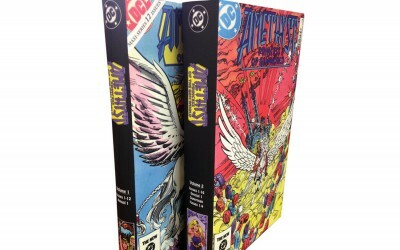 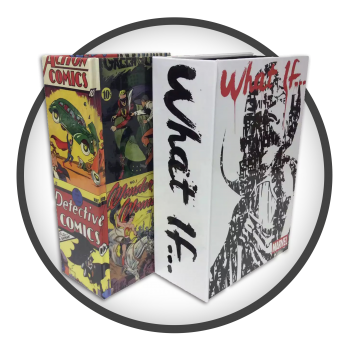 Houchen Bindery Ltd is a certified Library Bindery that can transform your comic book collection into durable and attractive hard cover books. 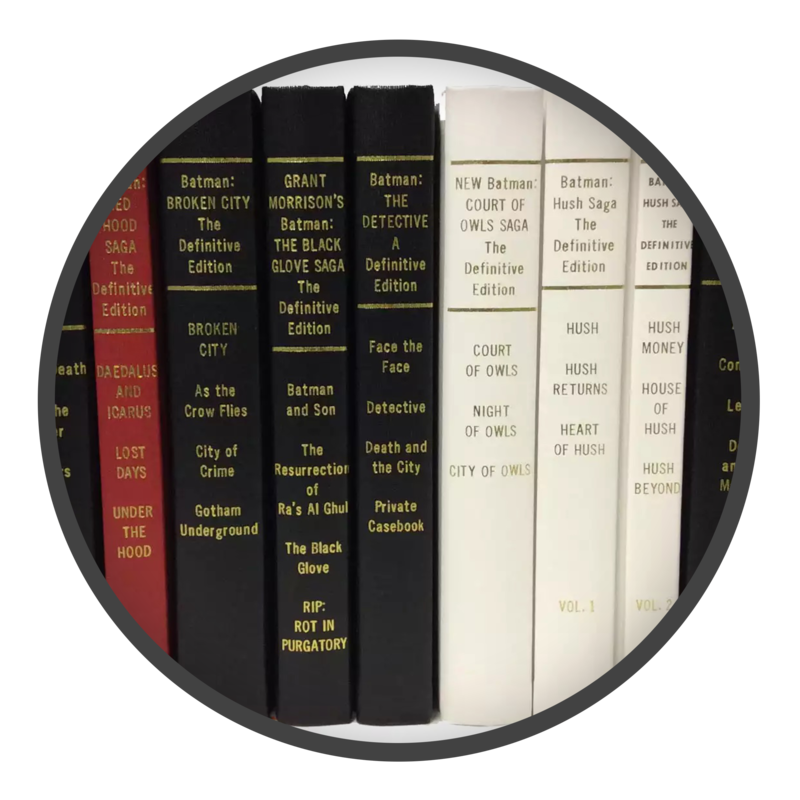 Want more information or help ordering? 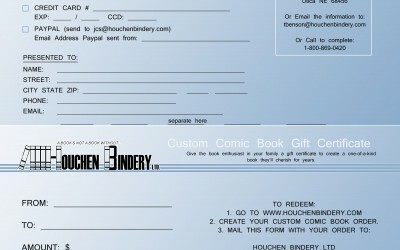 Email us at email@houchenbindery.com, call 1-800-869-0420, or get in touch with us through our contact form.